Bicycle Racing on a Budget: Jekyll and Hyde on a bike. Jekyll and Hyde on a bike. Anyone who has raced on a bike will know that heavy feeling on your shoulders that tugs them down with dread and that ' I can't be arsed' feeling. It happens to us all somewhere along our journey to bike heaven, but I don't expect it at the start of the season and my first time trial of the year. But here I was on a very windy Saturday afternoon at Belsay with the timekeeper saying 'hello Brian, you don't look too keen?' Yep I nodded with a pained expression of some old shire horse looking down at an un-ploughed field, it had to be done and the quicker the better. I am not a natural time triallist. I ride them as they are cheap and easy to get too and some of them can be quite satisfying, can be! The Barnesbury CC hilly 21 is not normally one of my most satisfying ones, it's too early in the season and the weather is usually cold, wet and windy. Today was just windy, but very windy, well blowing a right hooley. As I find riding on the tri bars on my time trial being an uncomfortable and nervous place to be on the best of days, I was feeling very cautious and nervous about the crosswinds today. I find with age you think too much about consequences, that sows doubt and that makes you think more and that slows you down. On nearly all the steeper downhill sections I opted to holding onto the full bar for stability and I actually free-wheeled most of steepest hill, Middleton Bank. I must have lost loads of time through thinking and being cautious. Still I finished in one piece. My time was not too bad, but was down the placings and lost to club member Neil Payton as fastest club rider and a trophy to boot! It was a fine win by Carl Donaldson from the GS Metro to beat John Sturman by just a single second! I don't like time trialling now, it's too hard, as the famed Tour de France star Greg Lemond said once, 'it doesn't get easier, just faster', is so true. Since my trapped sciatic nerve affair in 2011 I find that I am constantly racing in pain. Sitting in one position on the bike just makes it worse and I get a growing aching pain radiating down the back of my right hamstring and into the knee. It's like racing with one and a half legs! Now I know there are riders out there with worse injuries and ailments and many, well all really, para-cyclists will put me to shame, but this is me and my leg on my bike trying to go fast. In cross and road races it's not such a big deal, as you can get up and out the saddle and free-wheel and other such things to relieve the stress, but in time trials you can't, unless you want to loose time. The hilly events are better as the hills allow me to move around and ease any growing tension. So here I was 4 miles into the first time trial and feeling the ache set in and groaning to myself, not again not again Mr Hyde! And that is the problem. I know how to alleviate most of the pain and discomfort but just about every week I fail to take the proper precautions! A good warm up, not a pootle up and down the road, but a good sweaty spin on the turbo or rollers! Stretching more and exercising the muscles each evening and morning instead of some haphazard effort every other day. Wearing leggings or something else over the thighs to keep them warm! I know what to do, but the Mr Hyde in me creeps over onto my shoulder, usually by about Thursday or Friday and I enter into a stupor of can't be arsed attitude. Maybe it's just spring season blues after a hectic cross season, it has been the first time in over 20 years where I had a full winter of training and racing? Whatever it is Hyde creeps into other aspects as well, diet and eating being the notable one. I start of with good intentions at the beginning of the week, but by the later part the crap food is being consumed in copious amounts. I take a day off from training and my body goes into starvation mode and I crave sugary foods, all the weeks good intentions gone! A friend recommended using an app called MyfitnessPal, which allows you to log your food intake. It's good and simple to use and a few bikies have been using it with good reports on weight loss. I used it for 2 weeks, found out I eat too many bad calories on a non training day and then promptly stopped; the Hyde effect. Just what I knew. Here lies the crux of the Jekyll & Hyde, it's about your personality and character. I love racing and competing, the hubbub of fighting out in a race with the nearest rival, the buzz of anticipation, nervousness, eagerness and adrenalin all rolled into one. I missed it for 20 years or so and only now do I realise that I love the feel of race day and all that it entails. 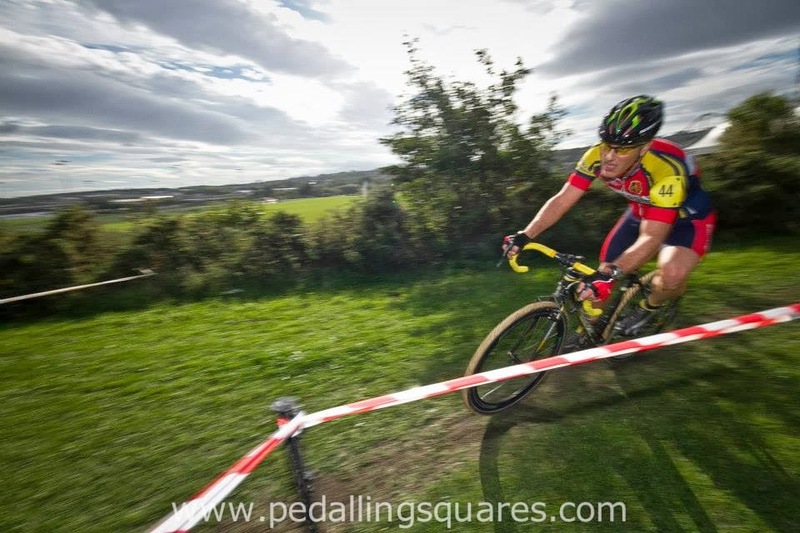 Probably why I love cross so much, it's compact, neat and tidy in an emotional sense, a thrill a minute. Road racing is similar, but I still have to find my road head and become comfortable in the bunch again. So if I could I would race every other day rolling along on this emotion of competition, the thrills of race day keeping me focused. But you can't and maybe it's the 'downs' later in the week that affect my focus? That's me! Up and down roller-coaster of emotion and enthusiasm. I can remember the most common comment on school reports went, ' shows a great deal of enthusiasm, if he could only focus....' Your personality drives you through life, it's you, how you think, learn, decide, act, take pain and reflect on your actions. It's the most important aspect to becoming a champion. How many times do we see some great sporting star and wish to be like them only for them to display attributes that we do not really want, arrogance, selfishness, greedy, bullying, vindictiveness, rule beating, cheating the list goes on..... In fact I could be describing just about any great professional rider we care to mention! That will to win at all costs! Although I despise Lance Armstrong for what he and others have done to our sport you cannot deny his total commitment to winning. So I'm not quite sure what this rambling blog has to do with racing on a budget, I guess enthusiasm and motivation doesn't cost anything but then it doesn't come cheap? There is always a payback, whether that is weekly, monthly or annually you need to re-charge the mind. Eva and I were talking about just yesterday, she says I'm too easily deterred and will put psychological obstacles in my way, it's true, but then I can easily bounce back, mostly. My Dad says 'never knock yourself, there's plenty of folks willing to do it for you.' We are what we are, although time will modify our character to a certain extent, the question is do I want to change? If I could turn back time? Well it's all immaterial really, I am the keeper of my mind and will continue being who I am, I just really need to get my arse in gear and focus on those goddam awful time trials! Ride less of them, focus on the important ones, and use the road races as a means of recharging my emotional batteries. I should be thankful that after 20 years away I'm in a position to race again and enjoying! Hey-ho the road goes forever onwards!